But her idyllic hometown has a hidden sinister side, and when the two friends are drawn in, they decide to set up shop as private inquiry agents, helping Edwina to make ends meet and satisfying Beryl’s thirst for adventure. Now this odd couple will need to put their heads together to catch a killer—before this sleepy English village becomes their final resting place . 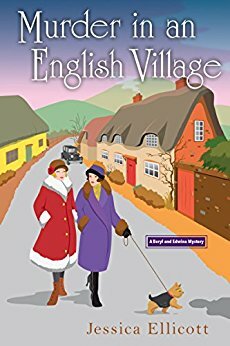 Murder in an English Village sounds like a delightful read; my interest is definitely piqued. This book sounds like great fun! I love stories about friends.